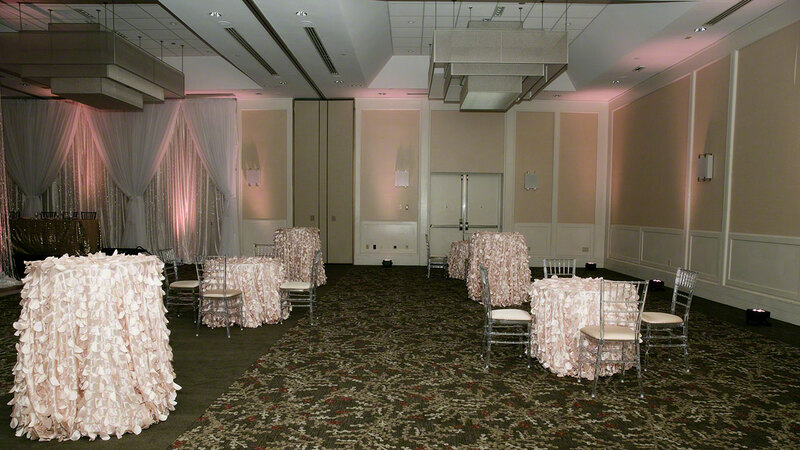 From time to time we work with our clients to do a stylized photo shoot. 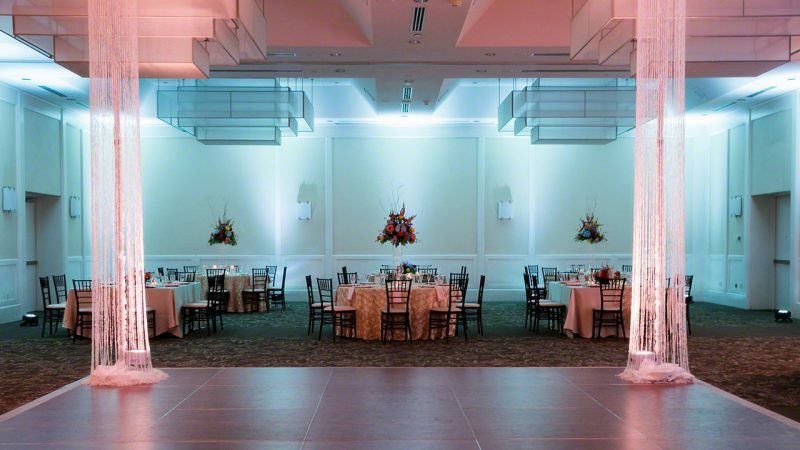 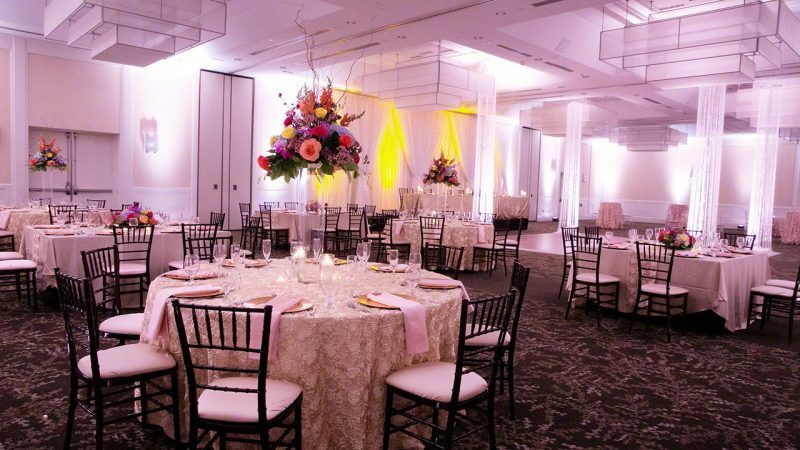 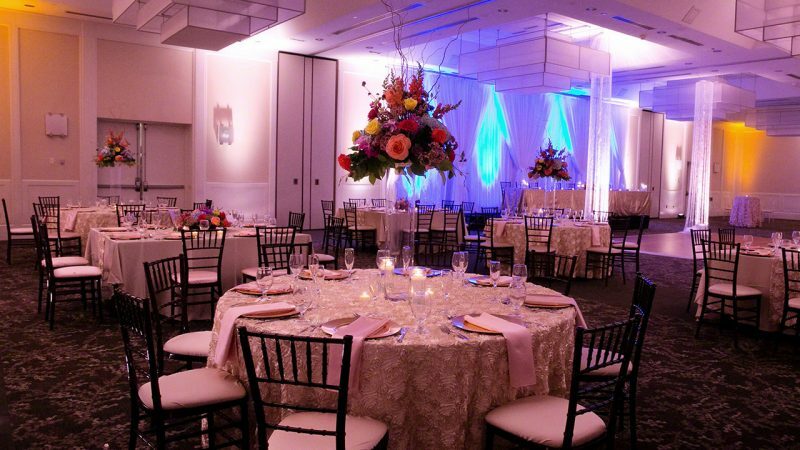 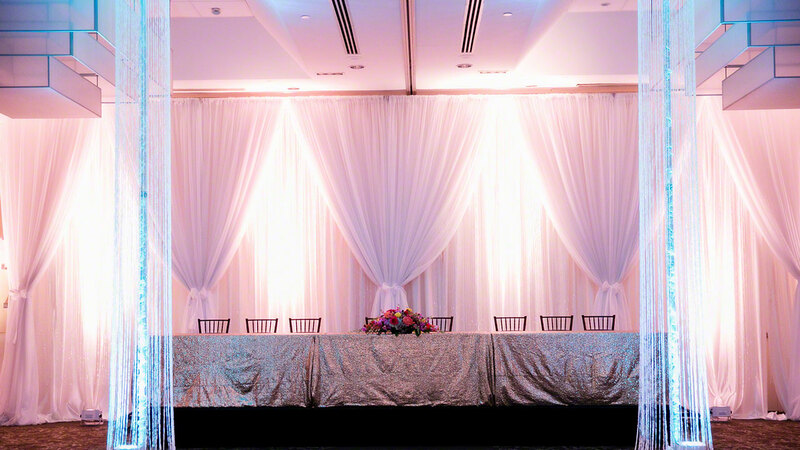 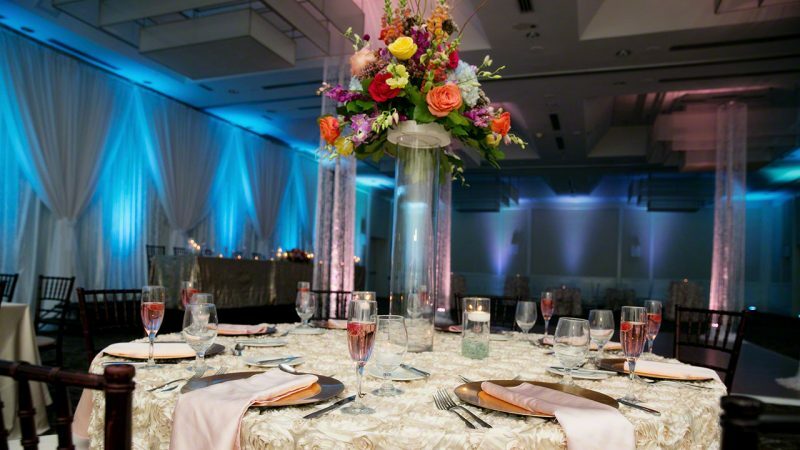 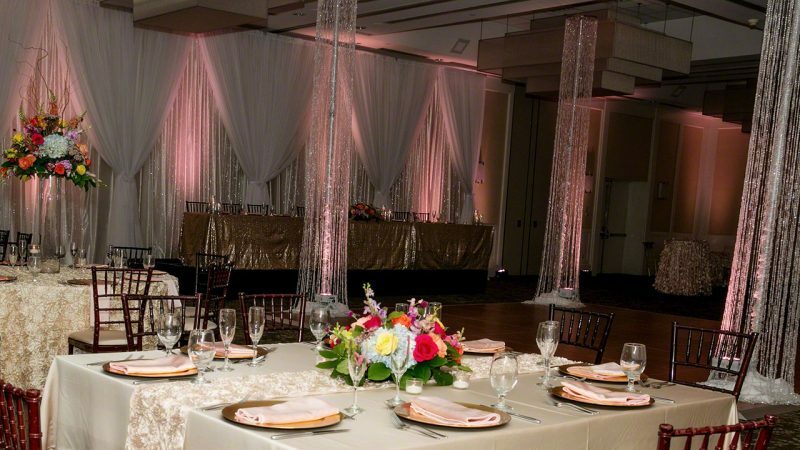 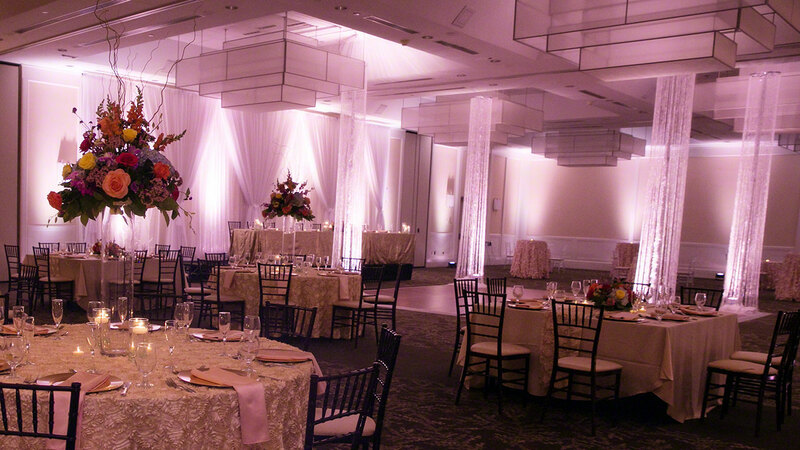 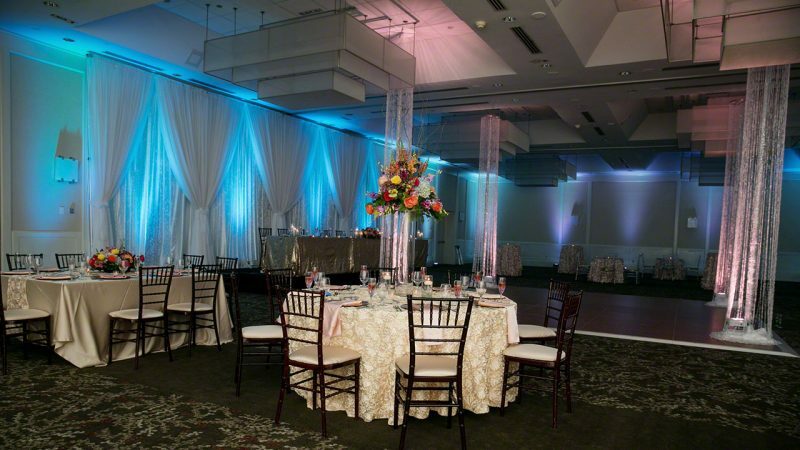 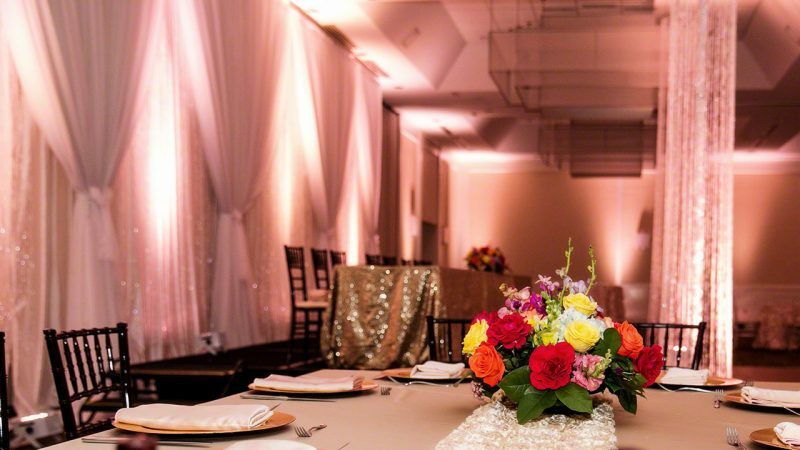 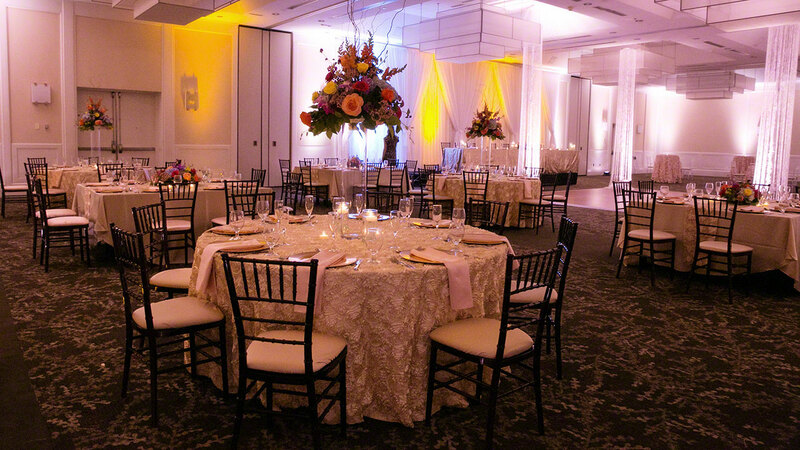 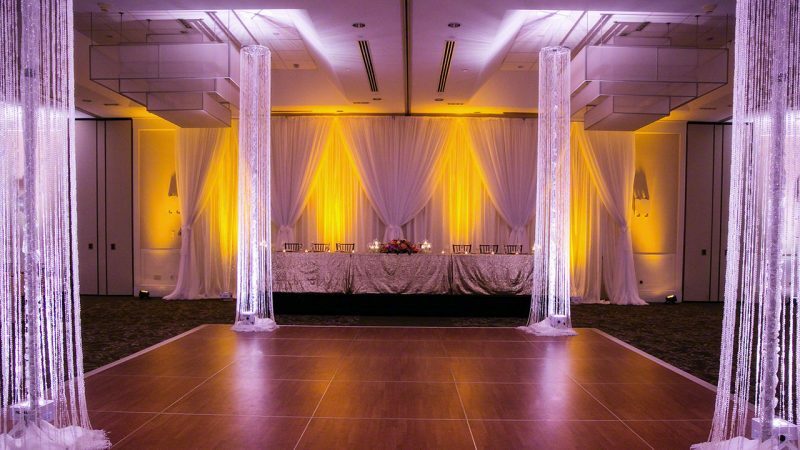 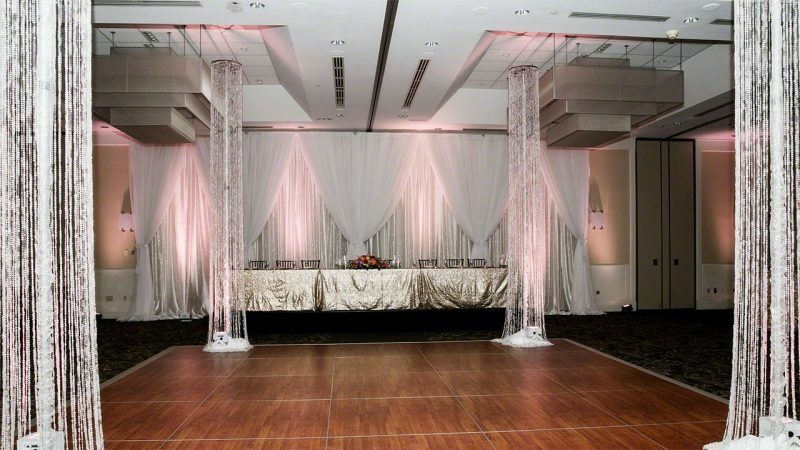 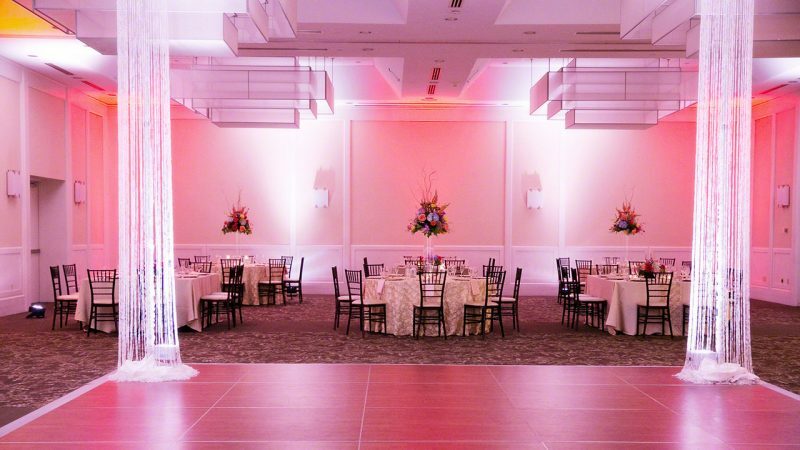 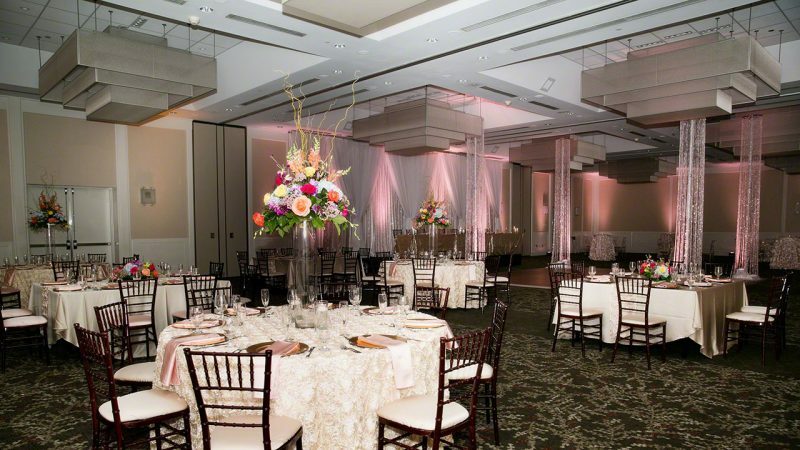 The Westin Southfield Detroit was wanting to show off their banquet room and how it can be transformed with the addition of lighting and draping. 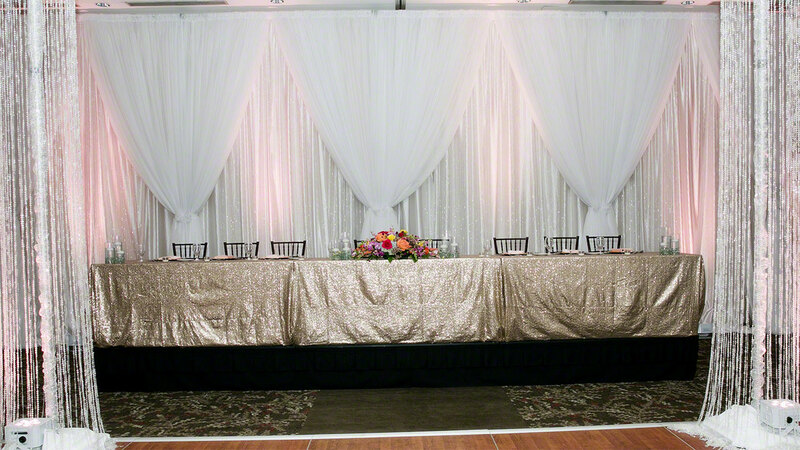 We went in and did a triple layer backdrop behind the head table. 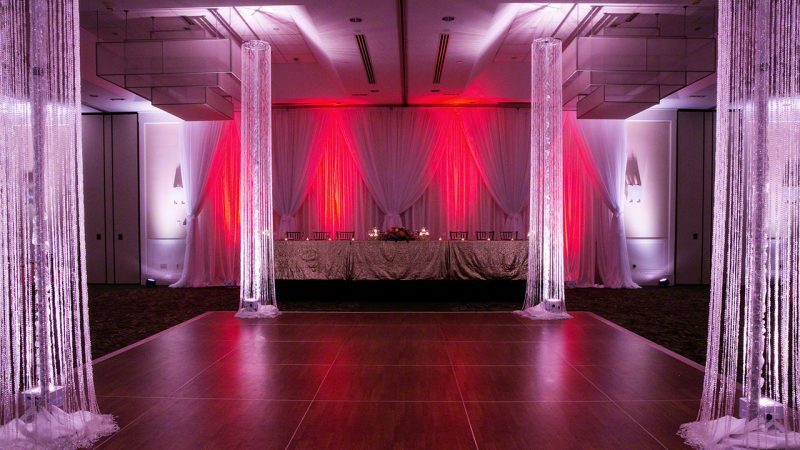 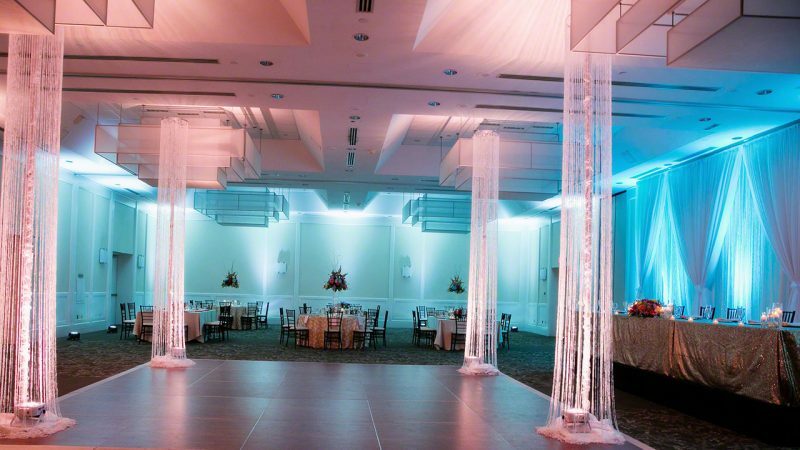 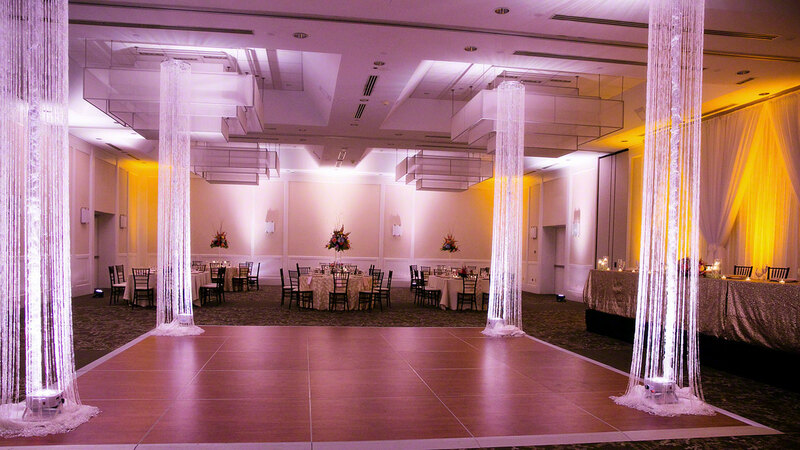 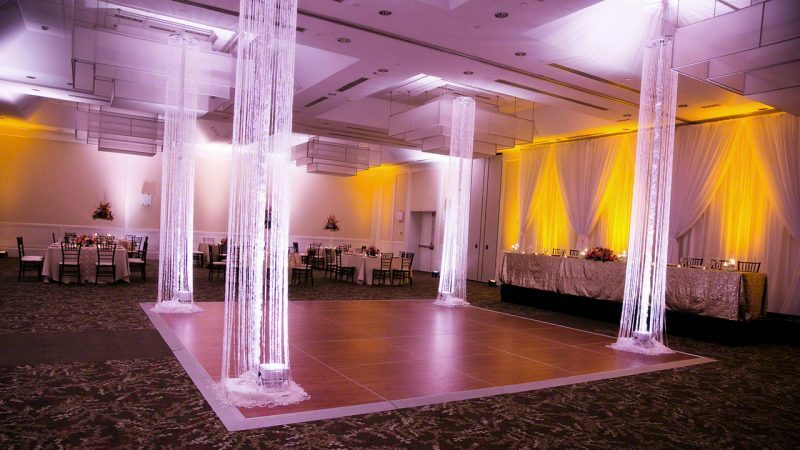 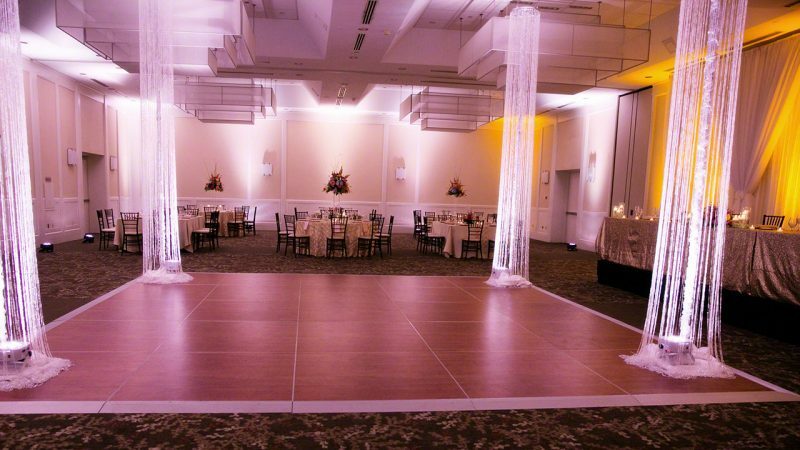 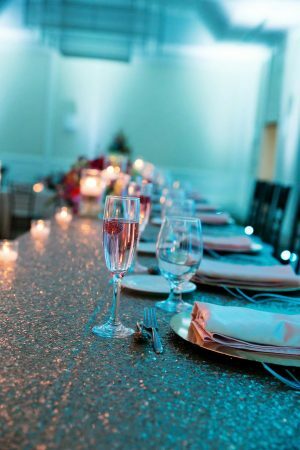 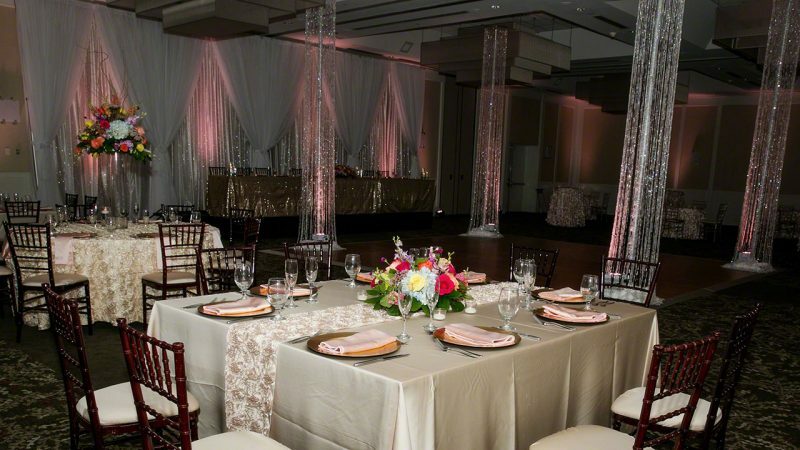 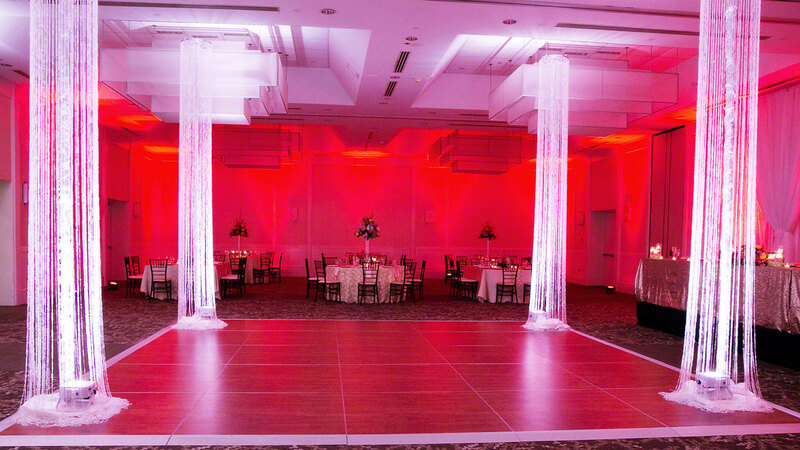 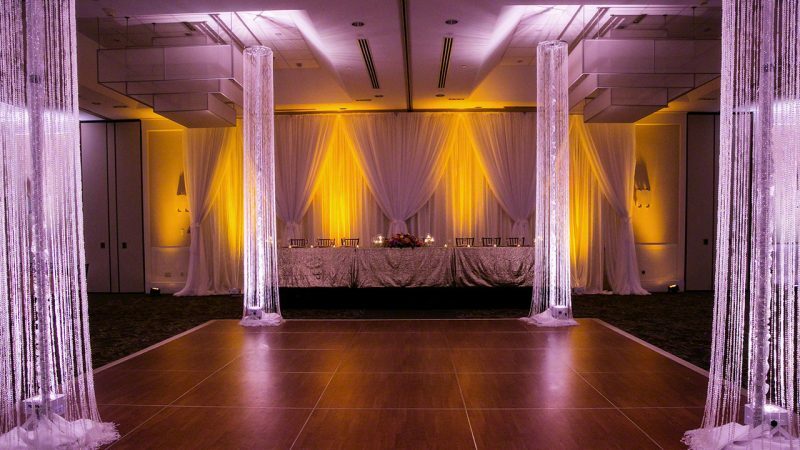 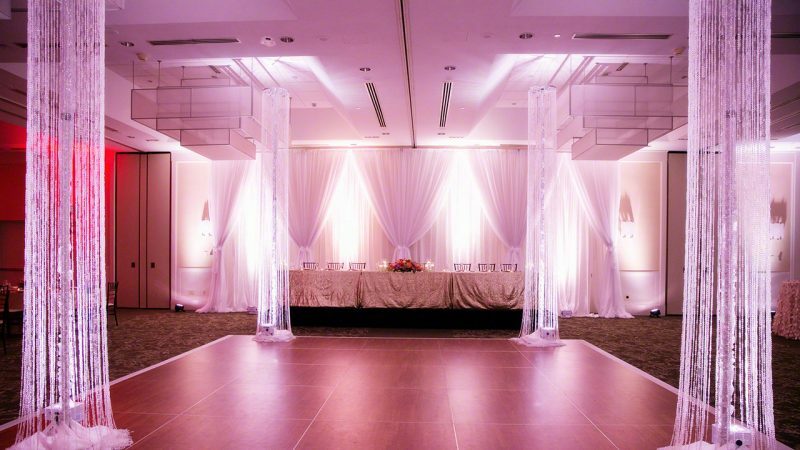 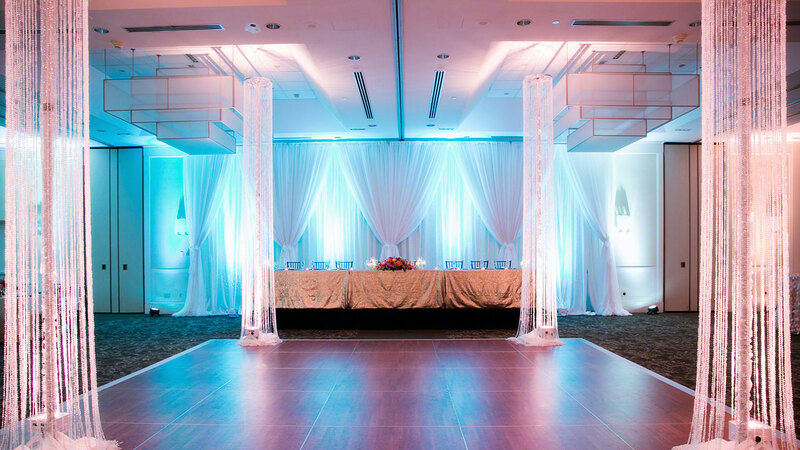 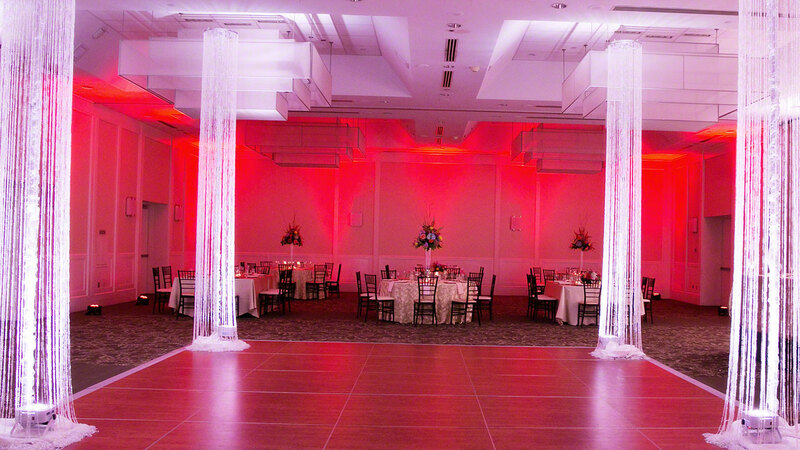 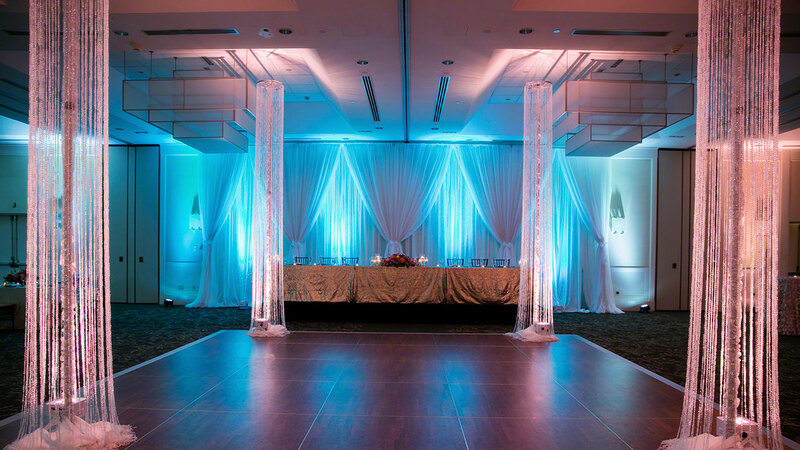 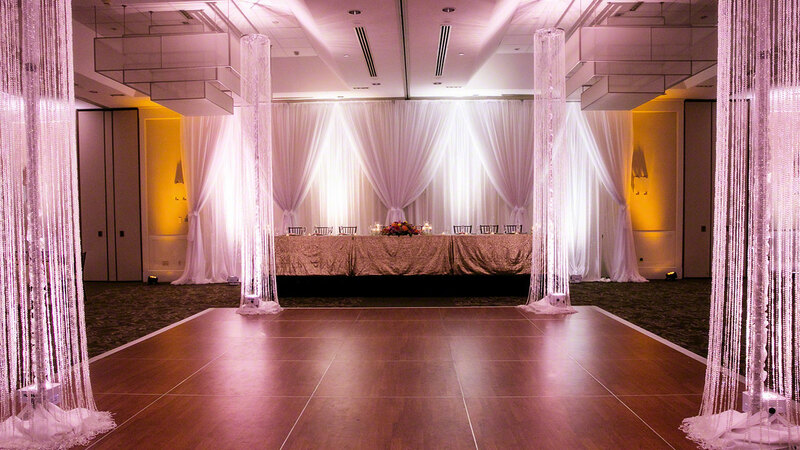 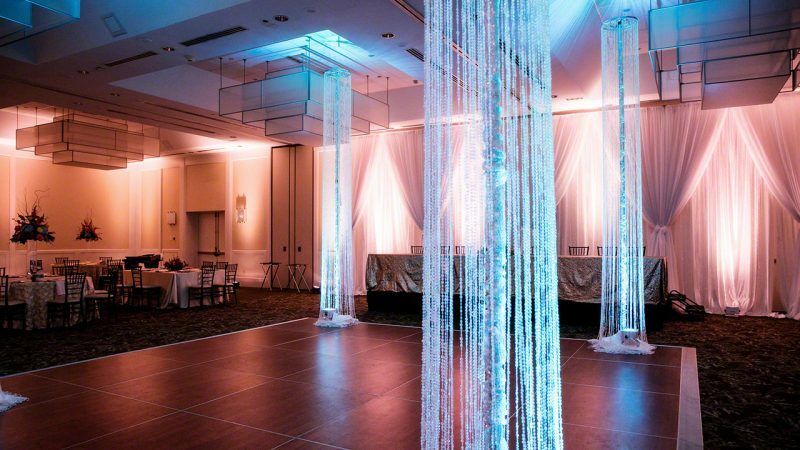 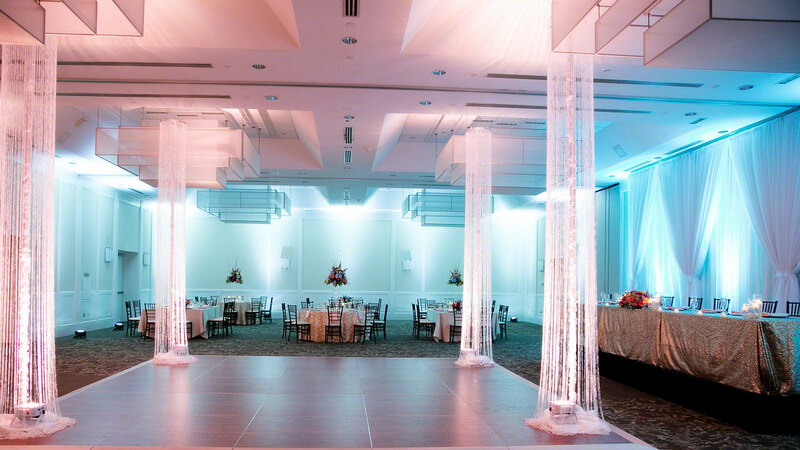 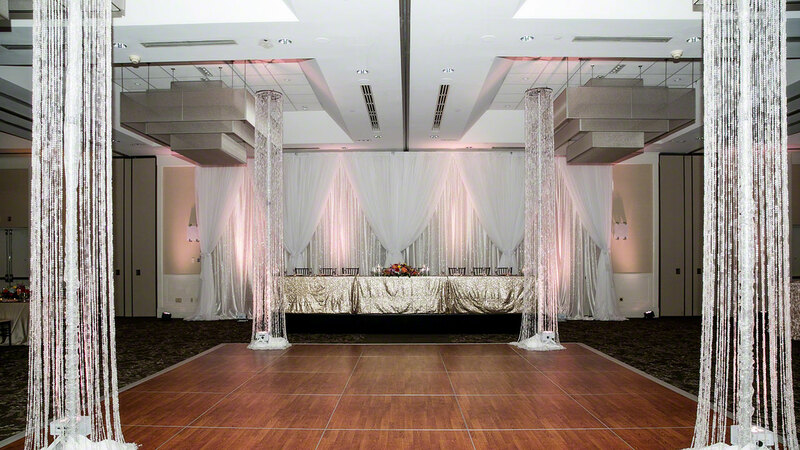 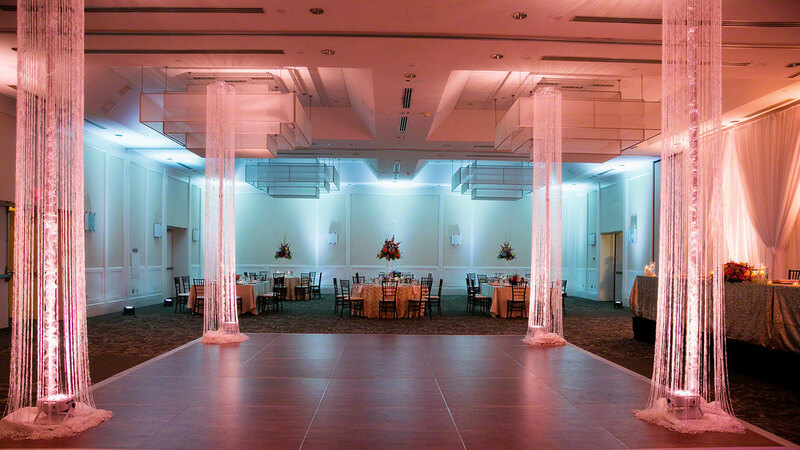 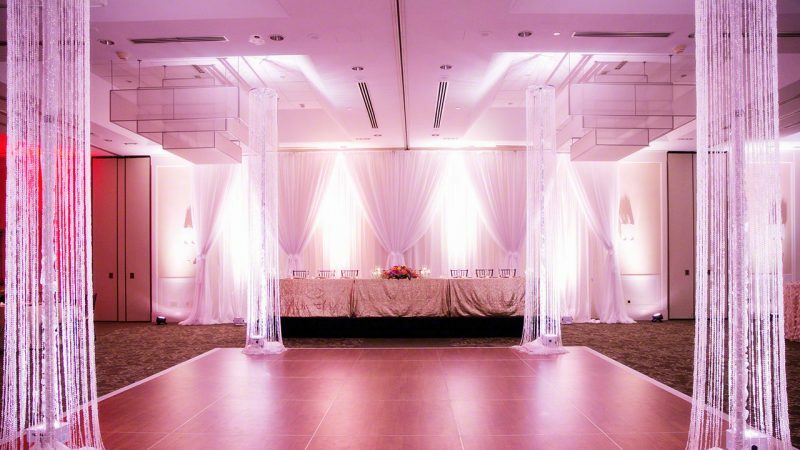 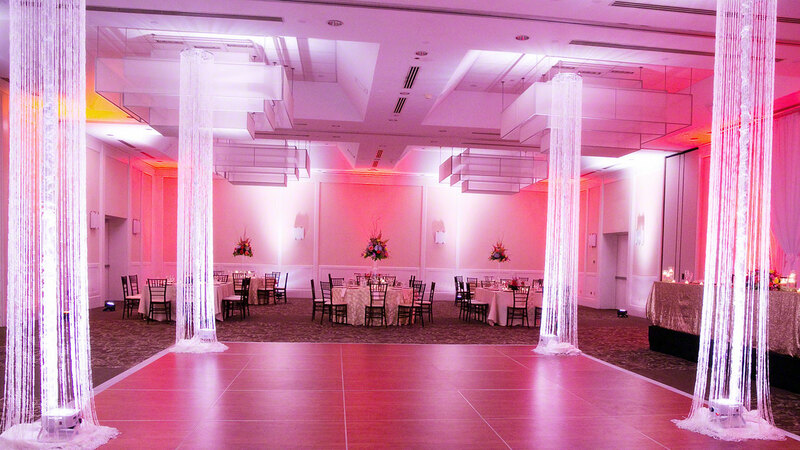 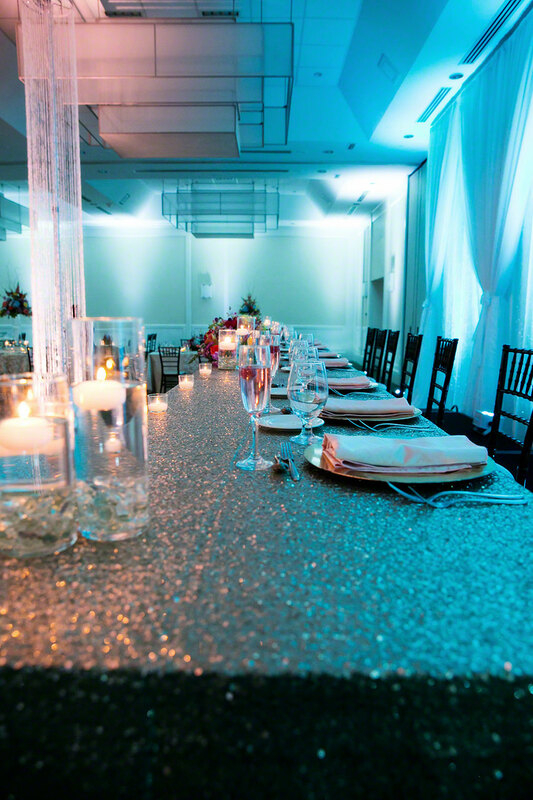 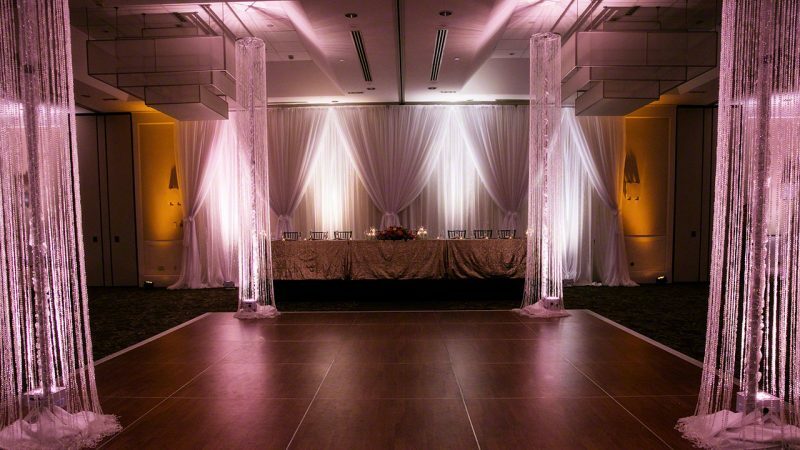 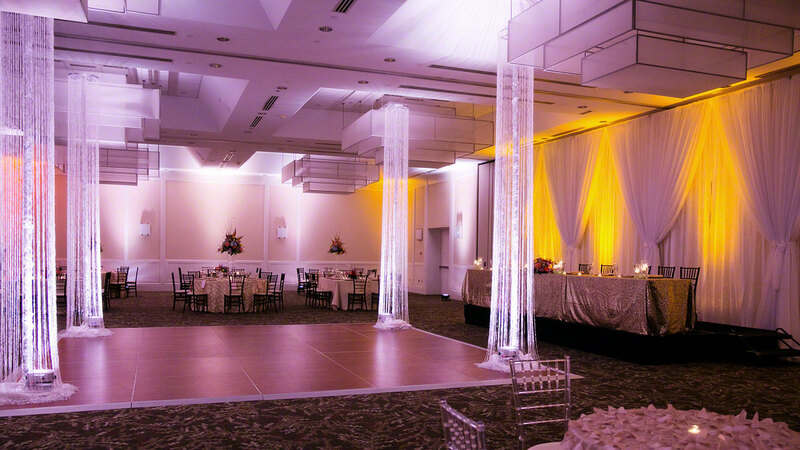 We added our crystal columns to the dance floor and up-lit the entire room. The best part is seeing all the photos. We left the Banquet Manager the remote control to change the light colors if she wanted, and boy did she! 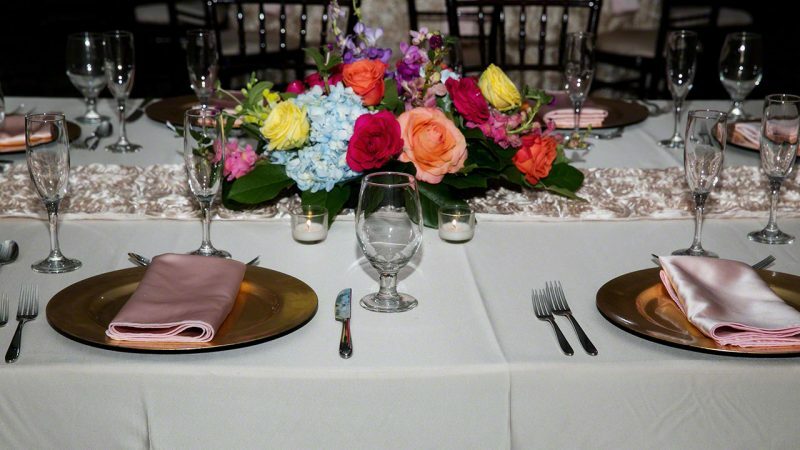 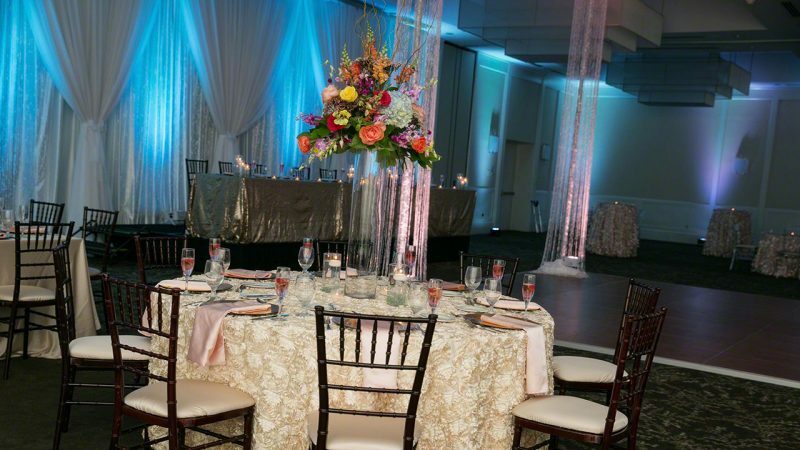 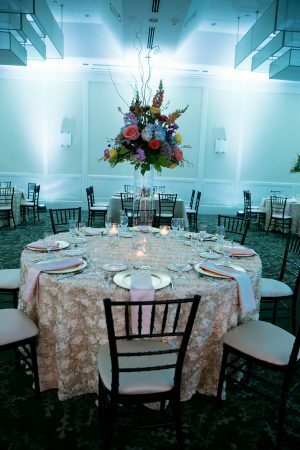 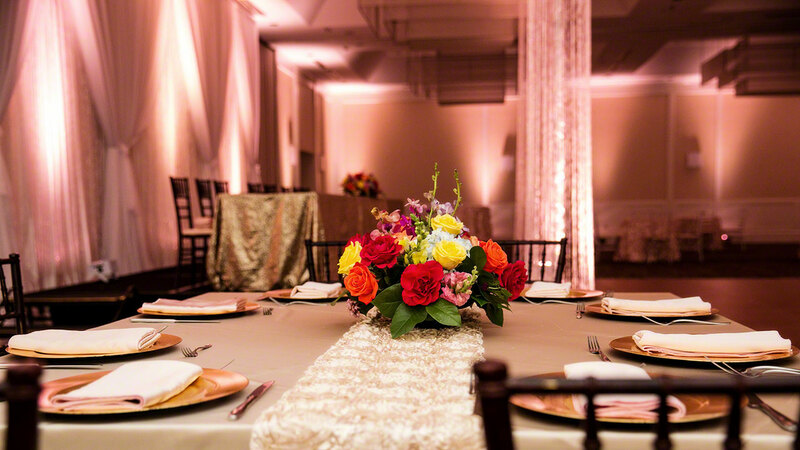 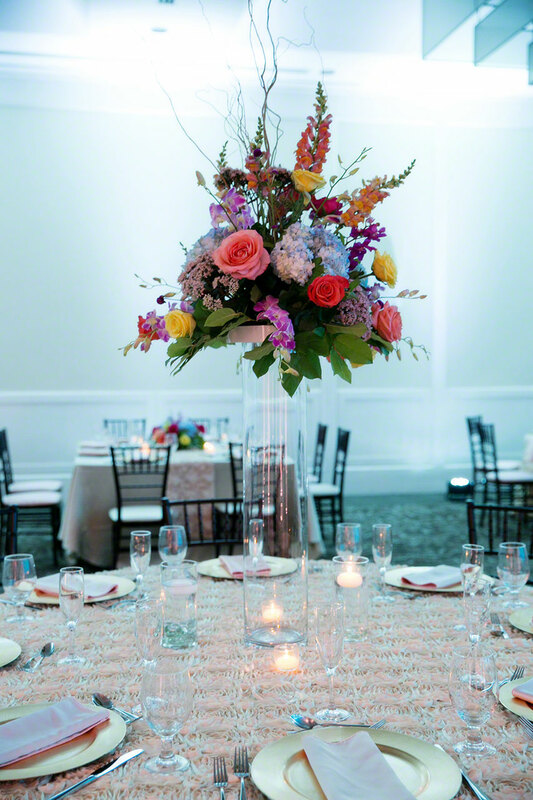 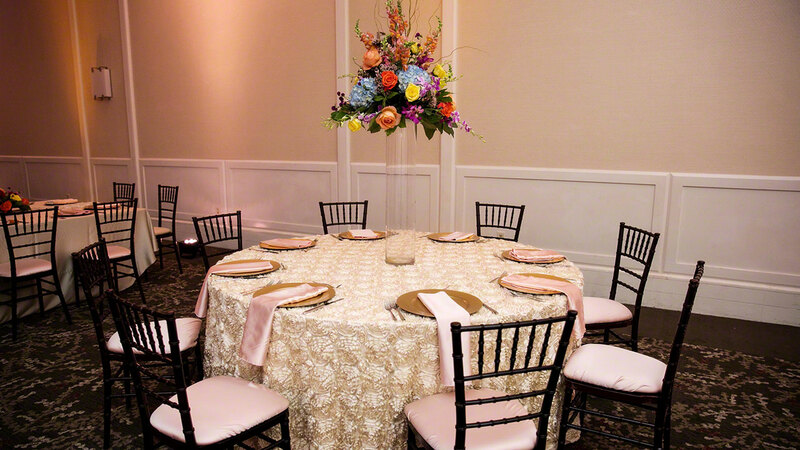 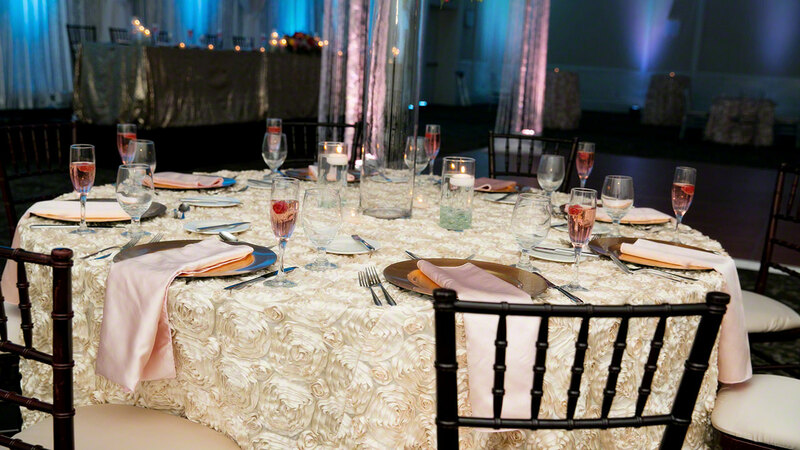 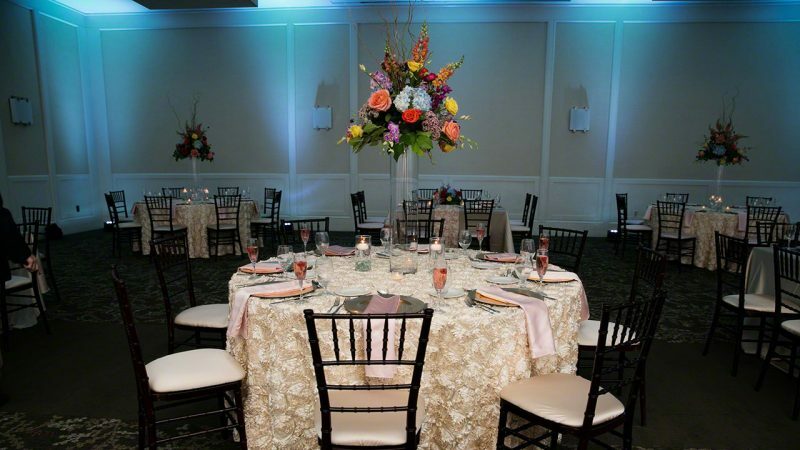 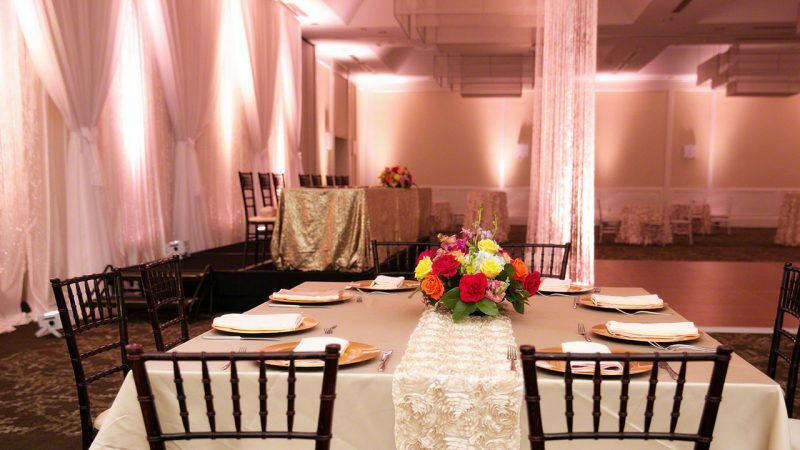 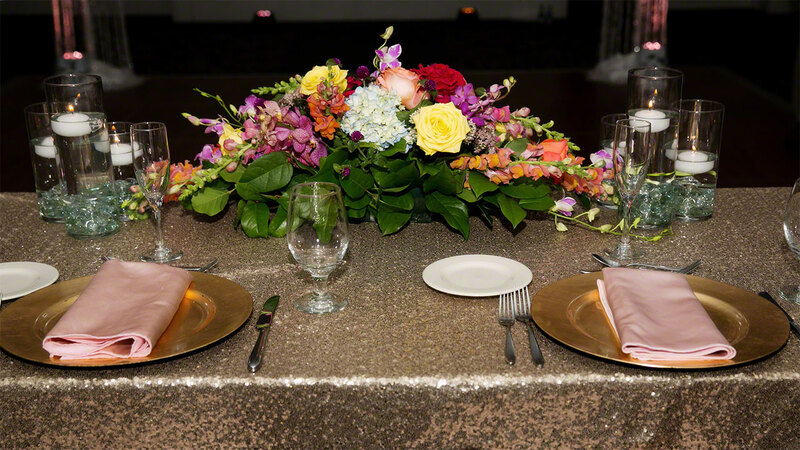 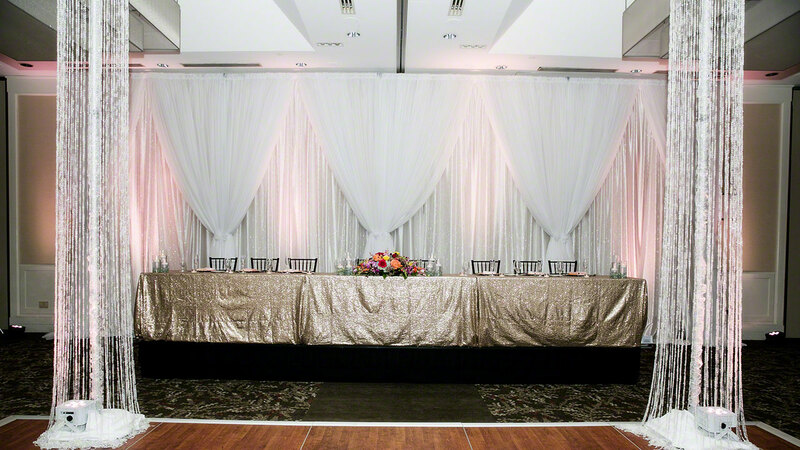 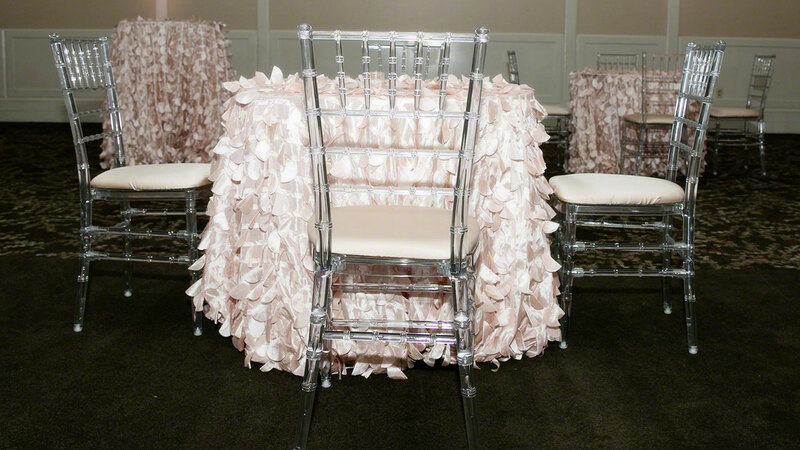 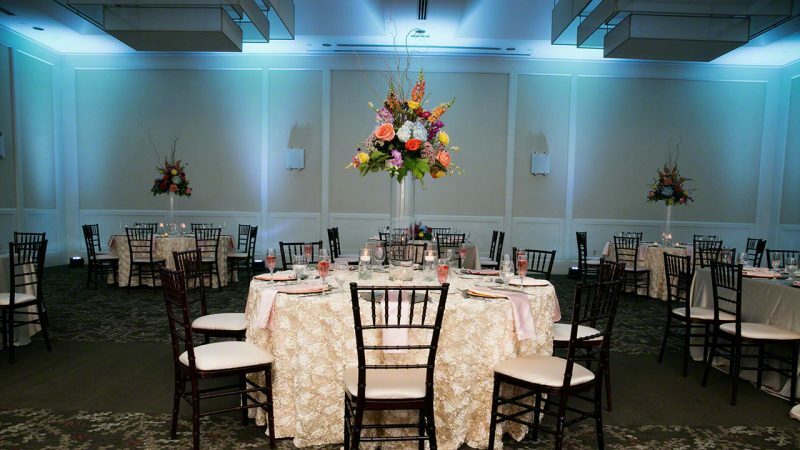 It is so awesome to see the same room with the same linens, chairs and florals change with the click of a button. There are a lot of images here, but we encourage you to take the time to look through them. 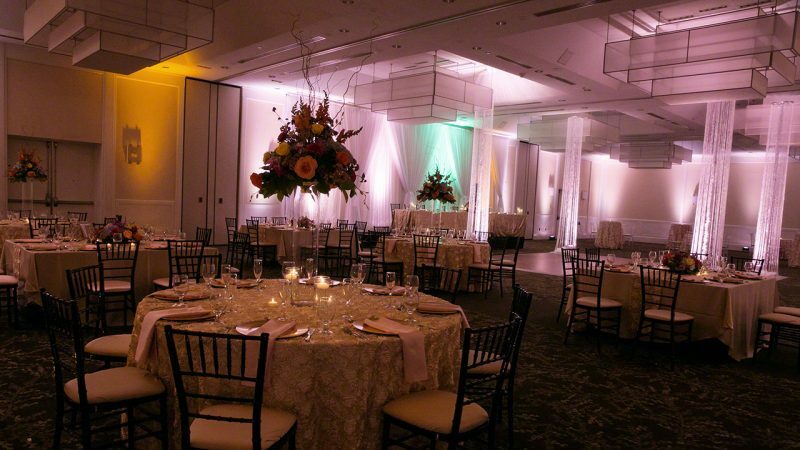 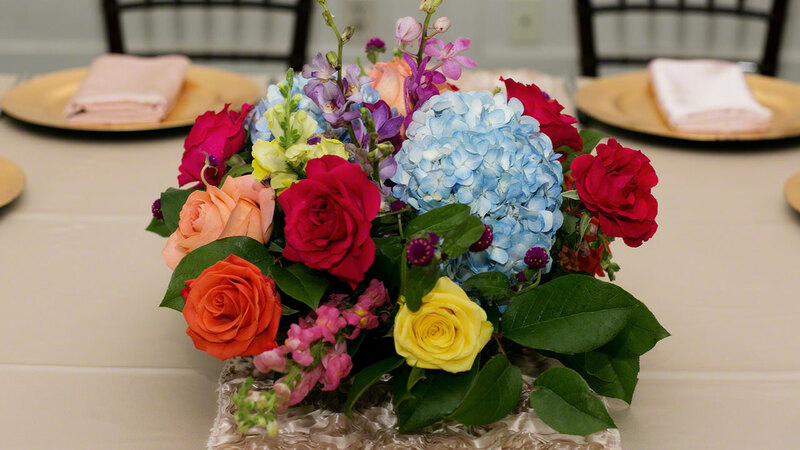 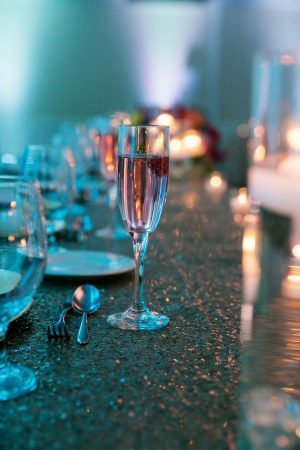 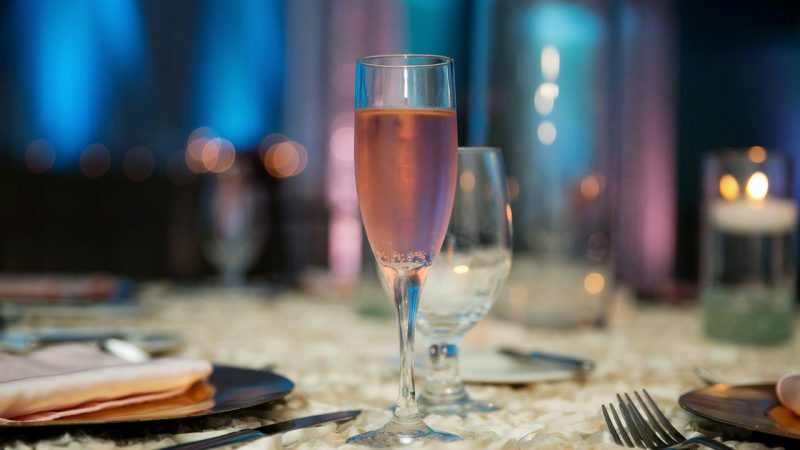 This is sure to stimulate your mind when planning your special day at The Westin or any other venue. 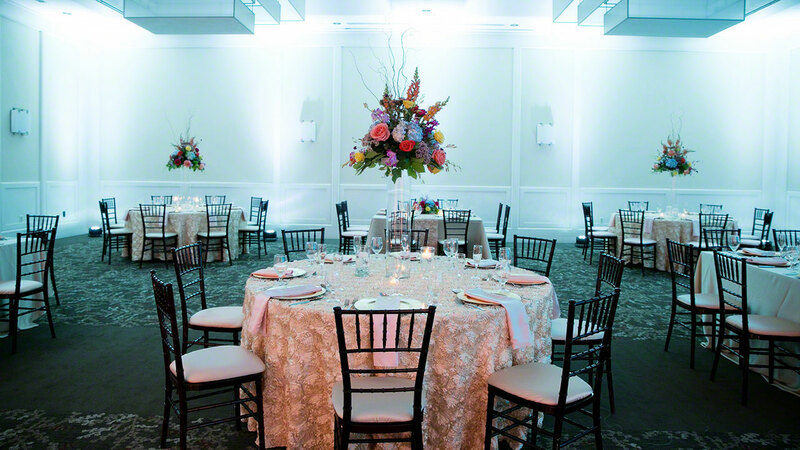 A special thanks Jessica McAllister of Flourish Photography for the amazing photos.